Calling all elementary teachers! 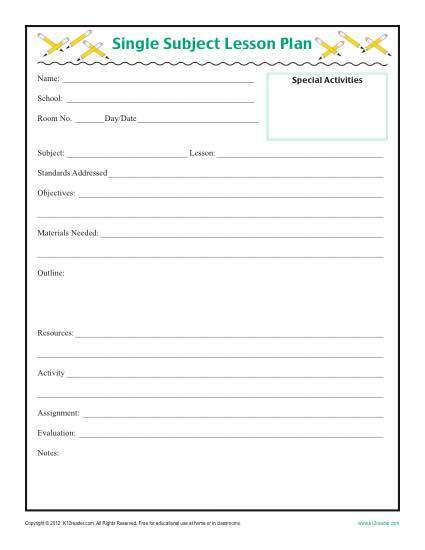 This daily lesson plan template covers every important aspect of a daily lesson for a single subject, including standards, materials and objectives. There’s even a space for special activities for the day, such as birthdays or early release.